The UAS traffic management (UTM) system market is in its developmental phase. Since 2014, NASA, along with UAS community partners, industry leaders, various governments, and academic researchers, are actively developing and testing the unmanned traffic management research platform. Many successful tests and demonstrations for communication prototypes, beyond visual line of sight (BVLOS) operations, mission planning, and longer range application prove that a commercialized market for unmanned traffic management is gradually emerging. Moreover, the need for UTM services has also resulted in the development of regulatory framework for the deployment drones around the world. This regulatory framework is expected to include operational limits, key responsibilities of the stakeholders, aircraft requirements, etc. Governments and regulatory authorities have made some exemptions in 2018 with regard to the operation of commercial UAVs, which has been a driving factor in the UAV market growth. The U.S-based Federal Aviation Administration (FAA) and Germany-based European Aviation Safety Agency (EASA) are two prominent regulatory authorities that are actively working toward creating more opportunities for the commercial drone business. Globally, the market for UTM is rapidly evolving with regard to UAS Service Suppliers (USS), which is one of the major components of the UTM ecosystem. UAS Service Suppliers (USS) have a viable business opportunity, as most of them are emerging start-ups trying to enter the UTM industry with their own UTM systems. Therefore, they are expected to invest substantial amount in order to set up a robust traffic management system that can safely incorporate drones in the airspace. By analysis, if becomes fully operational, the global UAS traffic management systems market has the potential to generate over $2.83 billion of revenue by 2030. This report identifies the global UAS traffic management system market for different stakeholders and regions. The study also presents a detailed examination of the UTM systems market along with the market drivers, restraints, growth opportunities, and challenges. The study provides details of various technologies enabling the UTM system. The report also provides segmentation of various systems of UTM, and product mapping with key companies. A detailed competitive analysis, which focuses on the key market developments and strategies followed by the key players in the market, has been included in this report. The study provides a detailed view of funding scenario and regulatory framework of UTM systems. The study provides a detailed overview of business opportunities for various key stakeholders in the UAS traffic management systems market. The UAS traffic management systems market has been analyzed for all the regions, namely North America, Europe, Asia-Pacific, and Rest-of-the-World with further analysis of the key developments with respect to several major countries. 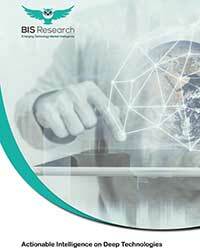 The study provides detailed analysis of various key players in the UAS traffic management system market namely AirMap, Airware, Altitude Angel, Analytical Graphic, Inc., DeDrone, DJI Innovations, SRC Inc., Kittyhawk, PrecisionHawk, SenseFly, Skyward, Unifly, AiRXOS, Aeronyde Corporation, Amazon, X (Project Wing) in the company profiles section. This section covers business financials, company snapshots, key products and services, major developments, future programs (if any), and the individual SWOT analysis.